Stew Leonard, Jr., CEO of Stew Leonard’s farm fresh food stores, wants to make peace a little closer by offering to donate 10,000 burgers to Trump-Kim peace summit, after the North Korean government announced their desire to open a “burger joint” in Pyongyang. Stew Leonard’s, which sells over 30 million pounds of beef a year throughout the tri-State area and is known by their symbolic boy-and-cow logo, has offered to donate burgers with “USA” stamped in the middle of them. The farm-fresh donation would be the new filet burger, made by hand in Stew Leonard’s using their Butcher Shoppe’s finest cuts, including their famous filet mignon, short rib and ground chuck. Filet mignon is America’s favorite and would be a great way to kick off the country’s new relationship with North Korea. A family business that was founded in 1923, Stew Leonard’s has been the stop of several notable celebrities, including Paul Newman, who launched his eponymous salad dressing at the company’s Norwalk location in 1982, as well as Jerry Seinfeld, Martha Stewart, and late-First Lady Barbara Bush, who visited the store while on a campaign stop in New England in the 1980s. Not since Nixon’s visit to China has a Presidential visit received so much media attention. Stew Leonard's, a family-owned and operated fresh food store opened in 1969, has six stores in Norwalk, Danbury, and Newington, Conn. and in East Meadow, Farmingdale and Yonkers, N.Y. The company buys directly from hundreds of family-owned farms, ranches, and fisheries around the world. Stew's earned its nickname, the "Disneyland of Dairy Stores" because of its country-fair atmosphere, with costumed characters and animated entertainment throughout the store that keep children entertained while parents shop. Stew Leonard's legion of loyal shoppers is largely due to the stores' passionate approach to customer service: "Rule #1 -- The Customer is Always Right"; Rule #2 - If the Customer is Ever Wrong, Re-Read Rule #1." This principle is so essential to the foundation of the company that it is etched in a three-ton granite rock at each store's entrance. The company's culture is built around an acronym for S.T.E.W. : Satisfy the customer; Teamwork gets it done; Excellence makes it better; WOW makes it fun. 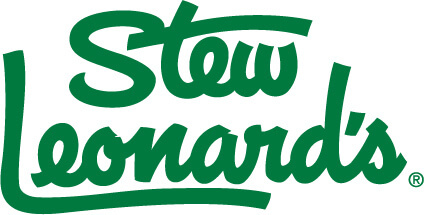 For more information, visit Stew Leonard's website at stewleonards.com.